To sell timber, it is best to educate yourself on the actual timber sale process as many complex factors will come into play once the process has begun. Knowing what to expect may save you a lot of time and money (not to mention headaches or regret.) The following outline describes the various steps typically involved in the timber sale process. Before we begin, first understand that by hiring a consultant company, you are sure to gain the most money for your timber. It is a proven fact that by obtaining professional timber sale administration services, you can expect to increase your revenues by 30-70% How? You will know exactly how much to expect for your timber. Selling on your own often results in sawmills or wood corporations sending out buyers that will take advantage of your lack of knowledge. By obtaining our services, the buyers will realize (and bid accordingly) that you, indeed, know what kind of dollar figure to expect! NGF works for the landowner not the sawmills, wood corporations or government. We work for you and only you! Hire the help! Hire a professional timber sales agent to represent you. The timber sales administrator will only provide services necessary to complete a pleasing timber sale. Know your boundaries! We will visit your property to map and mark your tract boundary lines and provide detailed tract maps using the latest topographical mapping software. Know your volume. Estimating volumes of rough wood products requires knowledge of the various units of measurement and how to obtain accuracy in these measurements. The basic units of measurement are board feet (lumber, veneer) and tons or cords (pulpwood). Species. Timber marketing is highly specialized. Exact tree species (i.e. red oak vs. scarlet oak) must be recognized and will allow for an efficient offering to the bet markets and thus, obtain the best price. Quality & Quantity. Typically, large trees that are free from knots, defects and lower limbs are the most valuable. Trees are given different grades that pertain to their quality. Knowing the quality of your timber will bring premium prices at sale time. Also, the amount of trees to be sold is tallied. The quality, quantity, volume and species data will give a useful estimate of the dollar amount you can expect to receive. Site Marketability. Though general market conditions may determine timber prices, local considerations also affect the actual price received. Accessibility, site and terrain, distance to market, size of sale and overall quality must be evaluated. Find a buyer. For most tracts of timber, the best and most fair method to all parties involved is to implement the sealed bid process. Your agent will solicit a number of companies who will visit your property and evaluate your timber. Each company will submit a bid by the closing bid date and your agent will then review the bids with you. Contract negotiations. Your agent will draw up a legally binding timber sale contract to be signed by all involved parties. This contract will include a legal description of your property, sale price and method of payment, title guarantee, buyers right to access, liability issues, effective and termination date, penalty clauses, arbitration methods, witnessed signatures and other factors. At times, protective clauses will be designed to ensure the integrity of your land for the future, for example, a clause may be inserted to protect your riparian zones (creeks, streams) on your land. Contract compliance. Your agent will visit your property to ensure the logging company is meeting all contractual obligations. Typically, a final site evaluation is necessary to ensure that certain logging areas (loading/landing sites, main skid & haul road) have been reclaimed as per contract and to protect soil from further erosion. Sit back and relax! We promise to help you make an informed decision that makes you comfortable. Be confident that we will actively market your timber to top paying buyers in the region. Remember that knowledge is key to conducting a fair and efficient timber sale. If you wish to talk with us, or if you have any questions, please feel free to contact us anytime. We are always happy to help in any way we can! A few more words of advice; be sure to be wary of the buyer who approaches you to solicit a ï¿½limited time?offer or ï¿½attempts to rush you into a decision? Most often, the ï¿½hurry-up?offer is to rush you into selling your valuable timber for the unfair dollar amount. Timber is our business . . . we are committed to staying up to date on the current timber, logs and lumber markets. We know the buyers for the various types of forest products in your area of Ohio, Kentucky and West Virginia. We make selling timber easy. 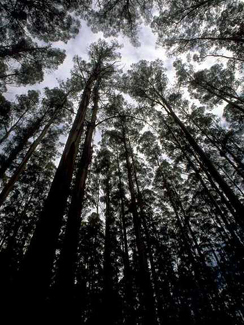 We are able to get top dollar for your timber through strategic and proven forest product marketing. At the same time we guard your forest and land interests. To us, there is nothing worse than an ugly logging job or to speak to someone who regrets selling their timber. Our excellence in our timber marketing and customer satisfaction, have earned trust from countless clientele over a 22 year span. Much of our business is derived from “word-of-mouth” advertising and repeat business. Typical clientele wish to have their timber produce a periodic income. We are able to achieve this by harvesting only 10 years of growth from a woodlot, and consequently are able to go back to these woodlots every 10 years and perform another harvest. The benefit to harvesting every 10 years is 3-fold: 1) long range profit is higher and infinite, 2) an experienced forester has a trained eye to select only the “money trees” that are profitable to the woodlot-owner, because many trees in a woodlot that often become harvested by logging companies acting alone are only profitable to their own business and/or to a lumber company. 3) a trained forester will see that a woodlot is continually improved each time it is harvested by selecting not only the “money trees” for harvesting, but also the inferior trees that may be damaged, dying, or inevitably deteriorating. We will provide expertise in maximizing your forest’s present and future value. We assist investors in locating, purchasing and managing quality forest properties. Landowners see that our ever changing economy, investmenting in forestland properties will bring diversity, growth and stability to any portfolio. Your forest can be one of your hardest working assets... with proper management offered through ourservices, your forest can provide a significant source of income now and in the future.